This sort of report is extremely useful in the identification of potential hazards for vessels. As can be seen clearly, there is a large concrete block submerged in the top centre of the image, which is in the middle of the major channel to the marinas ship lift. 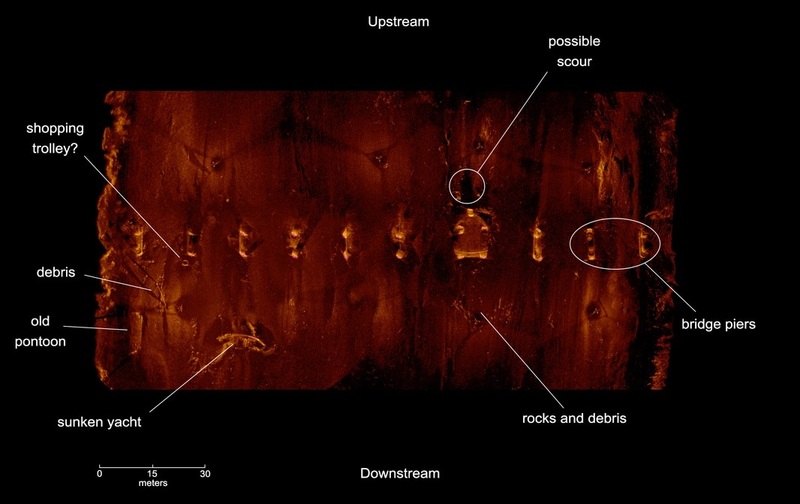 The sonar was used to both scan the dam trash rack horizontally (first image), which showed immediately a large hole in the structure. Rotating the sonar 90 degrees allowed us to scan into the hole to see the extent of the damage caused by the failing of the asset. Underwater 3D Modelling from ROV Innovations on Vimeo. 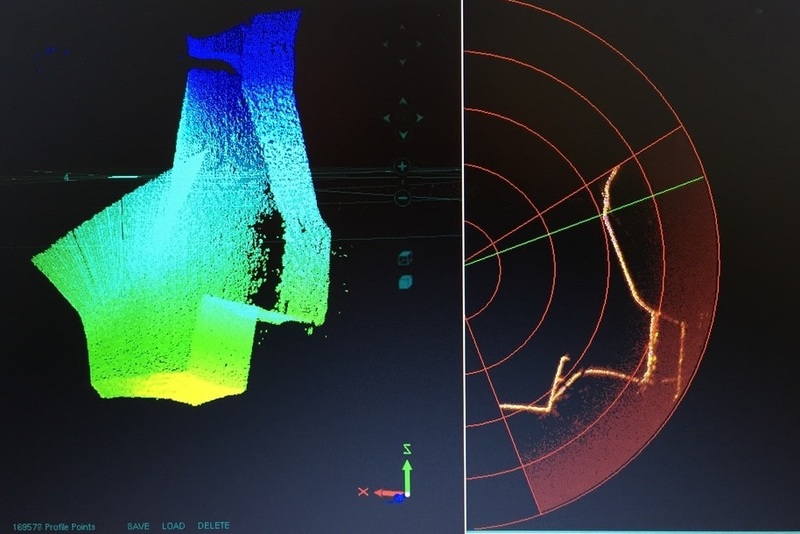 The accuracy of our sonar enables us to generate engineering quality underwater 3D point clouds of assets. This 3D point cloud is from the above dam trash rack once the damaged sections were removed. This allowed engineers to design and fabricate new sections to repair the structure. As a part of any bridge inspection, it is important to visualise both upstream and downstream environments to identify scour, debris buildup, as well as any potential hazards that may impact the bridge piles (such as the sunken yacht in the image to the left). 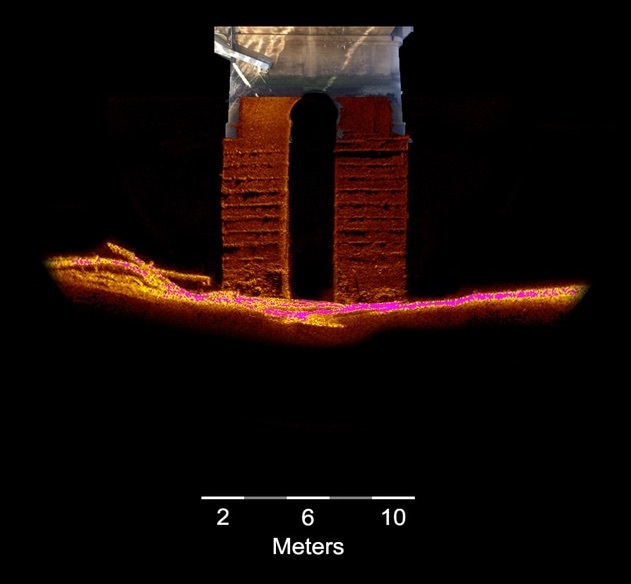 As a part of all bridge underwater inspections, individual piers are surveyed with the sonar to show any defects (such as the concrete spalling seen here), potential scour around the piers, as well as any buildup of debris against the piers (seen by the logs on the left hand side of the sonar scan). 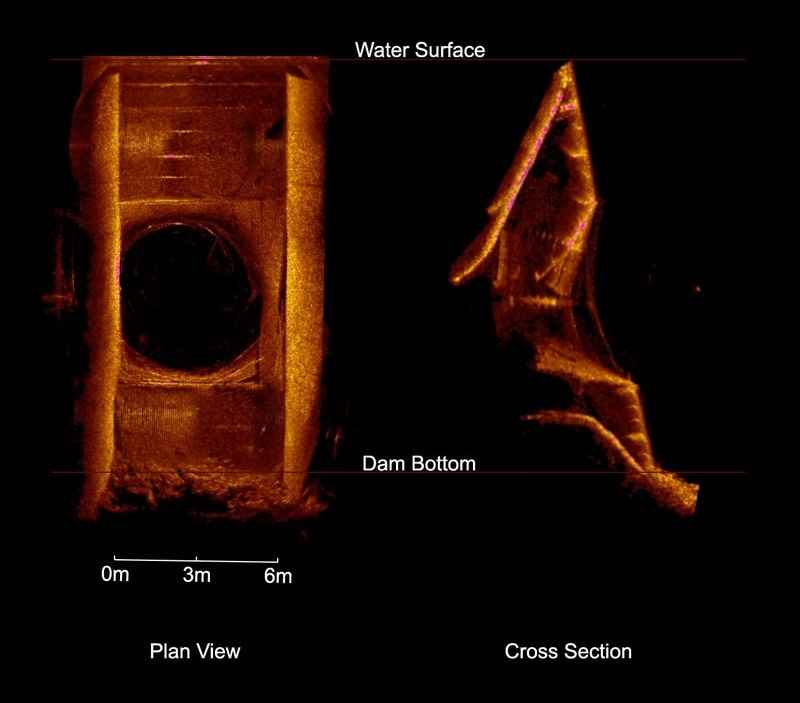 Sonar scans showing the cross sections of the river at the bridge are also very important and can show a range of information such as river depths, total height, and distance to top of deck. Profiling the river like this can show scouring, debris and any underwater hazards. Vehicle (in this case a ute) found within a river in SE Qld. 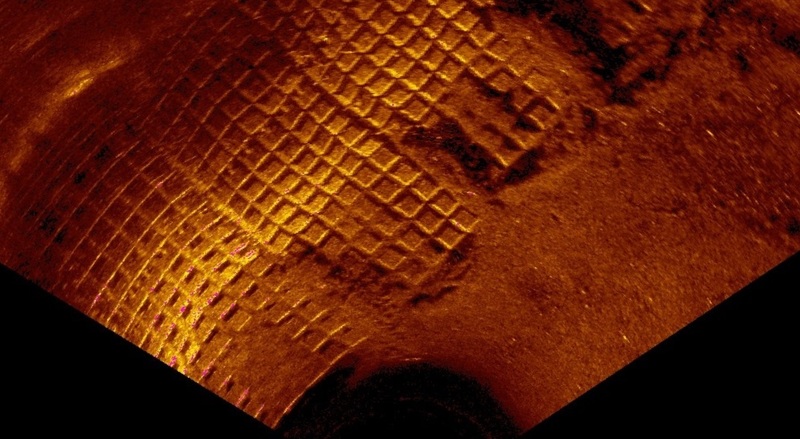 Our Hi-Res scanning sonar can quickly and efficiently be used for underwater search and recovery (SAR) of objects including cars, items of forensic importance and even bodies. 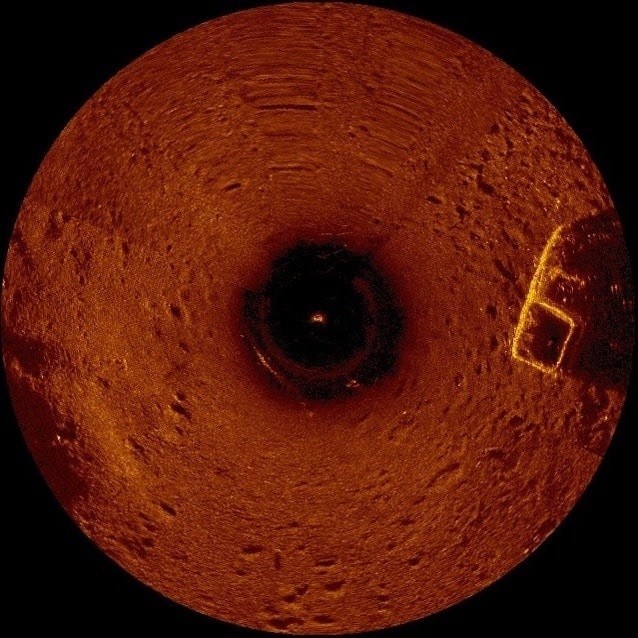 The sonar can be used in its traditional tripod mounted configuration, or as a hi-res sidescan sonar. Due to the extremely high accuracy of measurements we can obtain with our sonar, we are able to ensure that construction projects such as the installation of concrete mattresses for river bed stabilisation, are carried out in accordance with the manufacturers specification. In this instance there was a maximum distance between each mattress allowed, which was easily measured by the sonar operator live while the installation crew performed the work. 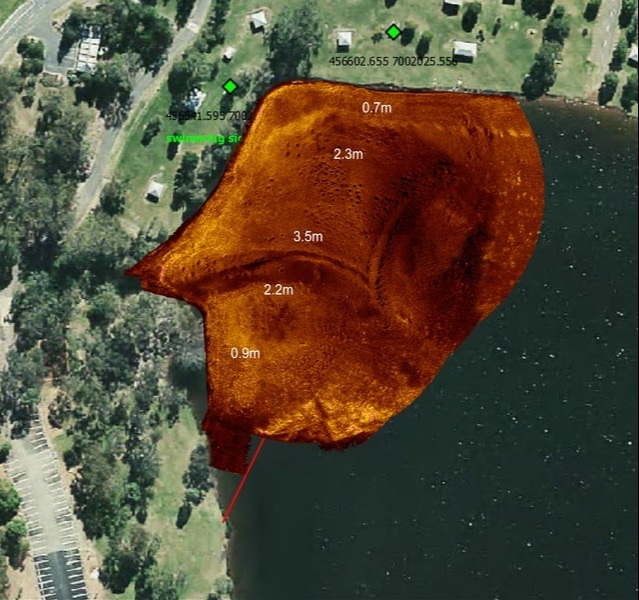 Using our sonar in Side Scan mode allows us to cover large areas relatively quickly. This area is approx 500m x 500m. 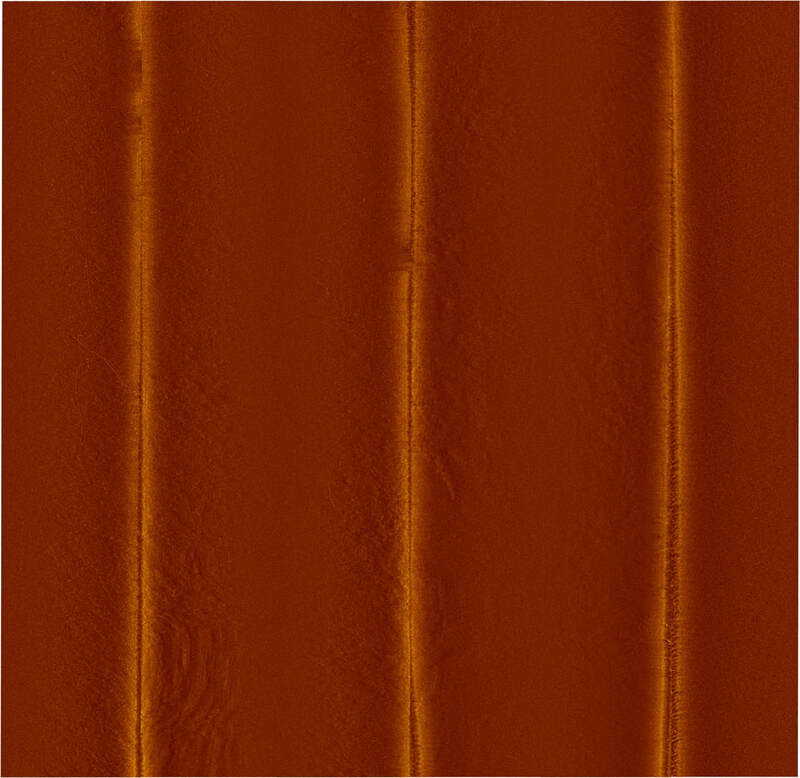 Zooming in to the image allows us to see anchor drag marks in the mud. 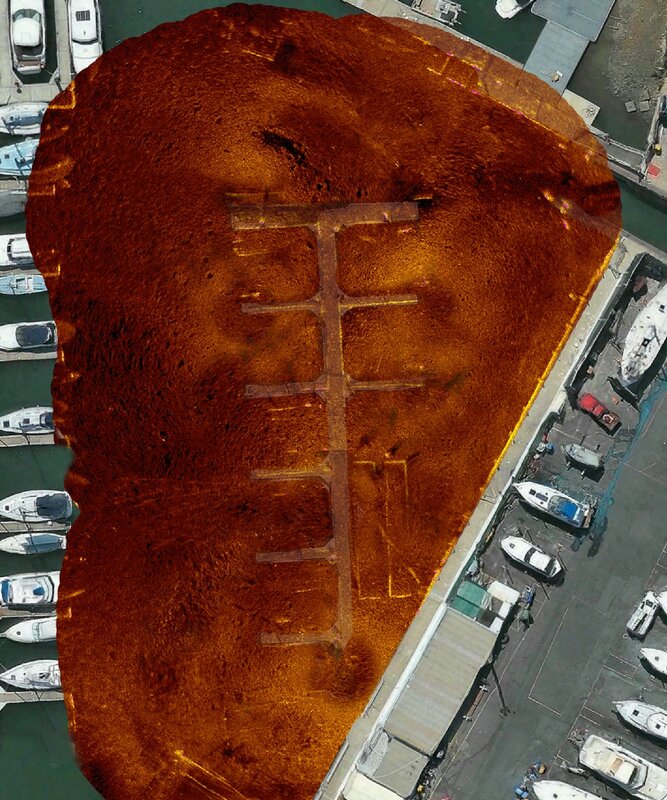 We can also use the high resolution sonar to perform side scan surveys of large areas. Due to our ability to resolve small objects at higher resolutions, we can perform large scale area surveys with increased confidence.